Are you struggling to keep the clutter under control? Is your home a constant mess? Don’t worry, we are here to help. When our homes are in a mess, it can seem a little overwhelming knowing where to start with the tidying. 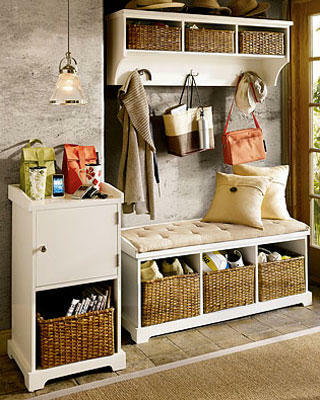 That is why it is so important to find ways to keep your home as tidy and organized as possible. To help you get organized and wave goodbye to clutter, we have put together some handy tips for getting organized and getting rid of clutter. To find out more, have a read of this. If you don’t have a coat rack and have got into the habit of hanging your coat on a dining room chair, this needs to stop. It adds clutter and unnecessary mess to your home. Invest in on wall hooks, a coat tree or wall pegs to use to hang your coats up. This will keep your living room / dining room free of additional clutter and will keep your coats safe and crease free. While draws are great for hiding bits and bobs out of view, it is all too easy to fill draws with clutter. Mindlessly stuffing bits and bobs into draws is never a good idea, your draws should be neat and organized. Aim to keep any draws in your home, from the draws on your bedside table to the draws on your kitchen dresser, as neat and organized as possible. Use boxes and plastic wallets to keep the contents of each draw as neat and tidy as possible. Designate an area in your home for recycling, a place where you can store all the card, tins and plastic bottles before bin day. Invest in large recycling bins, these should be much larger than you think you will need. The reason for investing in larger bins than you will need is that when you fail to put your bins out on bin day, you won’t be left with a mountain of clutter. To ensure that you keep your home free of clutter and well organized, it is vital that you spend time tidying and regularly cleaning. If you struggle to find time to clean, establishing a tidying schedule is important as it gives you set times when you should take care of the house and tidy up any bits and bobs. It’s easy to forget things like mopping the floors and hoovering, when you have so many other things to think about. It is also important to invest in some good-quality cleaning equipment, like a reliable Hoover, for example. To find out all about the best vacuum cleaners on offer, read this review. It will give you an idea of the best vacuums available. Ideally, your bedside table should only be large enough to hold a lamp, book and coaster for your tea or coffee. Any larger, and you will be tempted to clutter it up with all sorts of bits and bobs. To keep your bedside table as neat and tidy as possible, invest in a night stand that has multiple drawers. This way you can use the drawers to neatly store any bits and bobs that don’t fit on top of your nightstand.